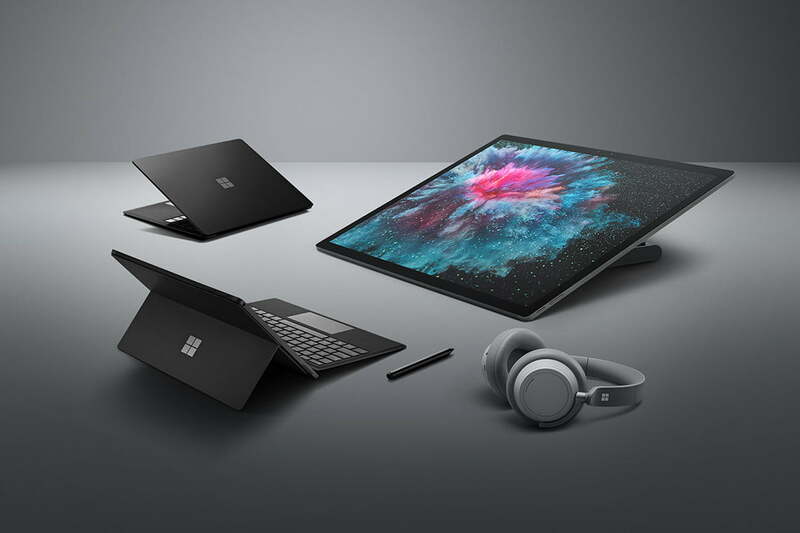 Since November 2017, Microsoft has announced and released a number of new models and variants of its Surface family of products. It's easy to be confused by the huge array of models and options. We've collated all the models into one document for you to help you understand each model and what it's intended role is in the Microsoft Surface family. The Microsoft Surface story goes back to 2007, and its multi-touch interface history goes well back before the iPhone. Microsoft's initial Microsoft Surface hybrid tablet product - the Surface RT - was a sales flop following its 2012 release. But in early 2013 when released in Surface Pro form, Microsoft had a hit product. The Surface RT was meant to compete with Apple's iPad, but it was the Pro that sold and established itself as a market leader in the portable PC world. In 2017-2018, Microsoft's revenue for the Surface family of devices nearly reached 5 Billion US dollars. The Surface Pro was improved in each generation and we are now in the 6th generation of Surface Pros, along with an extended family of related touch-centric products. The Surface RT in 2012 wasn't the first time Microsoft had used the Surface name. It was originally assigned to a table-top multi-touch computer that released running Windows Vista in 2007. It was simply named, the Microsoft Surface. The product didn't sell and became the PixelSense in 2012, the Surface name taken away for use on the new portable tablet line we know so well. The PixelSense got its Surface name back when released in 2015 as the Surface Hub running Windows 10. In two sizes with the largest being 84 inches (2130mm diagonal) the Surface hub is a vertical multi-touch surface aimed at boardrooms. The Surface Hub 2 has been announced and will be available in 2019, with a newly innovative module design, allowing for panels to be "snapped off" from the main display. Still a boardroom-level product, the new modular design may be fun to use for group collaboration and ideation. The Surface Hub 2S variant will be available in 2019, with the full-powered 2X variant not due until 2020. 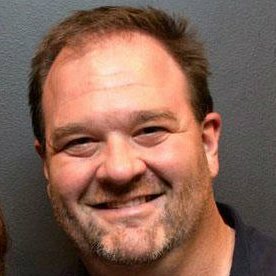 Following the Surface 3's cancellation in 2016, it looked like the original Surface RT's product line was gone. The Surface RT and Surface 2 ran a mobile phone CPU to improve battery life and keep costs low, while the Surface 3 ran a lethargic combination of an Intel Atom chip coupled with an notoriously slow SSD for storage. Now running a highly power-efficient Intel Pentium CPU and eMMC storage (in the 128GB model), the Surface Go finally has the performance to make full use of its ability to run the regulular version of Windows, without sacrificing the portable size and long battery life that is crucial for this form factor. The Surface Go ships with Microsoft's "Windows 10 Home in S mode" operating system, but can be upgraded to the full version of Windows 10 Home in a one-way upgrade, and a Windows 10 Professional version is also available. Windows 10 S mode is similar to the original Windows RT operating system in that only Windows Store applications can be run. This limitation is intended to have the Surface Go compete with the iPads and Chromebooks of its competitors. Business users will want to upgrade to Windows 10 Pro or Home, with the Window 10 S model making more sense for locked-down school computers. Additionally, the Surface Go is now available with a 4G/LTE model, allowing the user to insert a mobile phone SIM directly into the computer for an extremely portable "always-connected" PC. The Surface Pro lost its number in 2017 but now it's back. Following the successful Surface Pro 4 and the Surface Pro (the 2017 Surface Pro not the 2012 Surface Pro) comes the Surface Pro 6. Retaining the same form factor and dimensions as the 5th generation Surface Pro (3:2 aspect ratio 12.3 inch display) the Surface Pro 6 is essentially a performance upgrade from the previous generation using the latest Intel CPUs. Surface Pros have sold well due to being a unique mixture of performance, style and flexibility with the lightweight slate body and a magnetically attachable keyboard cover. The Surface Pro 3 in 2014 was the first model where the design was refined enough to really take off, and the move from Windows 8 to Windows 10 gave the product a big boost. 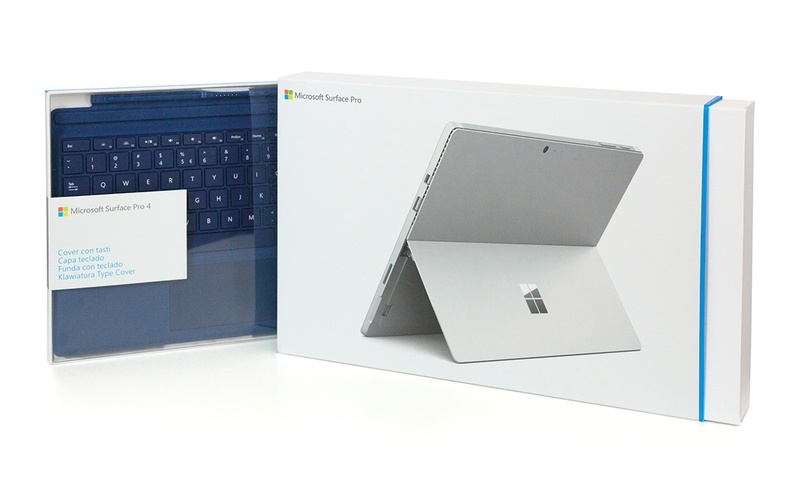 The Surface Pro 6 no longer carries an entry-level option, now that the Surface RT line has been revived as the Surface Go. In previous generations an Intel m5 CPU option was available. The minimum Surface Pro 6 is an Intel i5 model with 8GB of RAM and a 128GB SSD for storage. The top model runs an Intel i7 with 16GB of RAM and a 1TB SSD. While the Surface Pro 6 is the same size/weight as the previous model, the new CPU is a significant improvement in both performance and power efficiency, and a significant upgrade for anybody still using a Surface Pro 4 or older. For those who maximum portability a LTE/4G version is available. The 4G/LTE option is only available on the Intel i5 models because the fan used to cool the Intel i7 and older Intel i5 CPUs is no longer required for the new Intel i5 CPUs. Microsoft's Surface Book has always been aligned with executive users, and this continues with the newer model, the Surface Book 2. Released 12 months ago in November 2017, the Surface Book 2 refreshed the line with a new and bigger 15 inch model, and updated CPU power with Intel's 7th and 8th generation CPUs. The top configuration (15 inch only) now boasts an Intel i7-8650U CPU, 16GB of RAM and 1TB of SSD storage, and a discrete NVIDIA GeForce GTX 1060 GPU for superior graphics performance (important for video-intensive applications such as CAD, gaming and video editing). The Surface Book is noticeable by its unique detachable hinge mechanism, allowing it to operate as a regular clam shell laptop, or with the keyboard folded under like a bookend, or with the keyboard detached and used as a tablet. New releases in the PC world rarely get a reaction like Apple will get from its consumer releases, but the Surface Studio was an exception when announced at the end of 2016. The Studio is an All-In-One (AIO) form factor PC with a high-quality touch screen and uniquely hinged display that allows movement from its regular upright mode into what Microsoft calls "Studio mode", where the display lays down nearly flat for using with drawing tools. Where traditionally a user would be limited to a mouse and keyboard, the Surface Studio and Studio 2 provides other options. You can control the Surface Studio with touch, with a stylus (called the Surface Pen), and with the Surface Dial. The Surface Dial is a small flat puck-shaped control that can be operated on the desk or screen with the user's secondary hand, and is especially powerful when used with the Surface Pen on screen with an optimised drawing program. The Pen and Dial are available for users of Surface Pro, Book and Laptop users, but with much smaller touch screens they aren't as useful as they are on the Surface Studio. While the original Surface Studio was recognised as innovative, beautiful and segment-creating, its internal hardware didn't match the needs of these creative users. Microsoft addressed this with the Surface Studio 2, upgrading the CPUs to the latest Intel i7 8th generation, and providing GPU options of either the NVIDIA GeForce 1060 or the GeForce 1070. The Intel i5 entry-level option that was sold in the original Surface Studio is no longer available with the Surface Studio 2. In top specification, the Surface Studio ships with an Intel i7-7820HQ CPU, an integrated GeForce GTX 1070 GPU, 32GB of RAM and a 2TB SSD. The Surface Laptop released initially in mid-2017. Aimed at college students, many business users found the Surface Laptop as a strong alternative to regular clam shell laptops like those produced by HP, Lenovo and Dell. Consequently, Microsoft soon released versions that came with Windows 10 Professional. The Surface Laptop 2 is an updated model announced in October 2018. Unlike the Surface Book, the Surface Laptop line has a fixed and non-reversible hinge. The Surface Laptop is positioned to be less expensive and with a long battery life, rather than focusing on power and flexibility at a higher price with the Surface Book. The update from Laptop to Laptop 2 is minor but significant. Aside from addressing complaints made about the keyboard, the Laptop 2 includes the latest Intel CPUs providing a significant improvement to power and battery life. Our Business Technology Managers and Presales team are experts at matching your needs with best hardware options on the market. If you're looking to buy any of the Microsoft Surface products or any other ICT infrastructure, give us a call. We’re happy to guide you in every step of your purchase decision. Contact us below or call us today on 1300 307 907.